The return of Smite, top tier League of Legends and more. 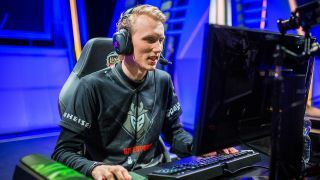 League of Legends takes the spotlight this weekend for its EU and NA Summer Finals (which just might draw the spotlight away from the recent controversies rocking the scene.) That’s not your only option, however: there’s plenty of fighting game tournaments taking place all over the world, Dota 2, CS:GO, and the return of PC pro Smite. Have fun! There's a lot of high-stakes LoL taking place over a short period of time over the next few days. On Saturday, the third place matches in both the NA and EU LCS Summer Finals will take place, with Unicorns of Love vs. H2K taking place in Europe at 08:00 PDT/17:00 CEST and Immortals vs. CounterLogic Gaming taking place in the US at 12:00 PDT/21:00 CEST. The timing for the grand finals on Sunday are the same. Find more information, and the livestream, at LoLesports. You'll forgive me for not having too many precise schedule details for this one, as... well, beyond the matches that have already been played, they seem a little hard to come by. Nonetheless, there is some top-tier Dota happening this weekend even as the majority of the scene wrestles with the inevitable but still-spectacular roster drama that follows the International. This is the EU qualifier for the next WCA. The previous one was, by all accounts, a gigantic shambles that people only forgot about because the Shanghai Major was a higher profile shambles. But at least there's Dota to watch. Check Gosugamers for up to date stream and schedule info. There's a lot of mid-tier CS:GO taking place across the world this weekend, from North America to Denmark to Poland. On Saturday, check out the playoffs for Power-LAN 2016 starting at 02:00 PDT/11:00 CEST—here's the official site for more info (it's in Danish, mind.) CyberPowerPC Summer 2016 will be running throughout the weekend, starting at 09:00 PDT/18:00 CEST on Saturday and 11:30 PDT/20:30 CEST on Sunday (more info here). Finally, ESEA Season 22 concludes on Sunday with $50,000 on the line. Tune to the livestream from 01:00 PDT/10:00 CEST. PC Smite is back for another season and this weekend is your chance to get in on the ground floor. Matches began yesterday and continue through to Sunday, starting at 11:00 PDT/19:00 CEST each day in both North America and Europe. You can find out more information on the teams on the official Smite Pro League site and find the livestream here. Look, we've got limited header space here, alright? Ranking Capcom Pro Tour tournaments this weekend range from Absolute Battle in Dallas, USA to Argentina Pro Gaming Series in Argentina to an Online Ranking Event in Europe to OzHadou Nationals 14 in Sydney to Fight in Rio: Olympia in Rio de Janeiro. As such, you can expect a decent standard of fighting game play regardless of when you tune in: check each official site, listed above, for further details. Keep an eye on Twitch’s Street Fighter V section if that’s the game you’re after.